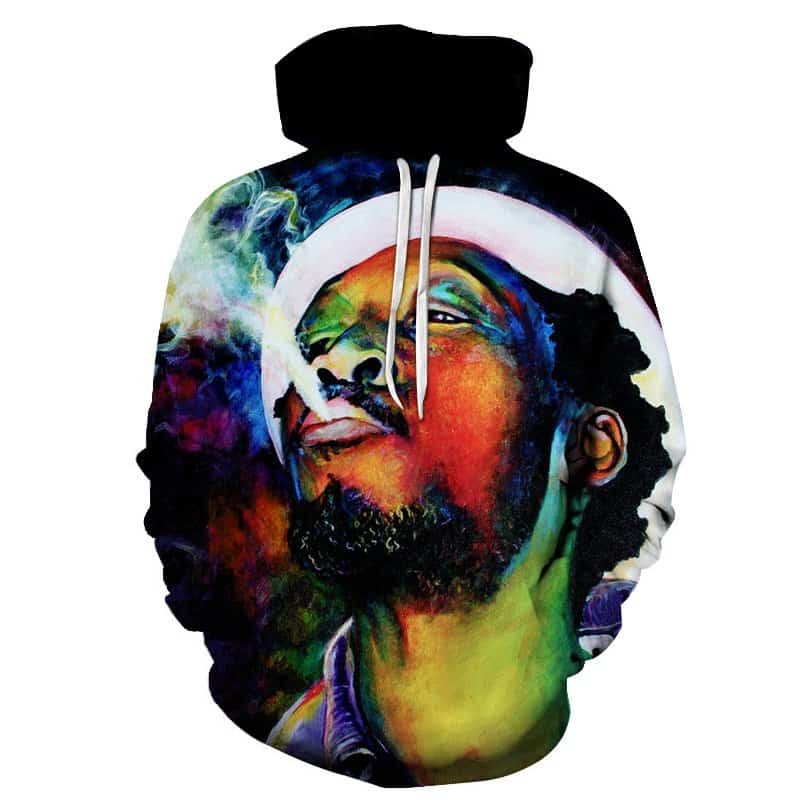 A stylish smoke and chill hoodie of a guy blowing smoke. The colors used both in the backdrop and the guy itself give a trippy effect. 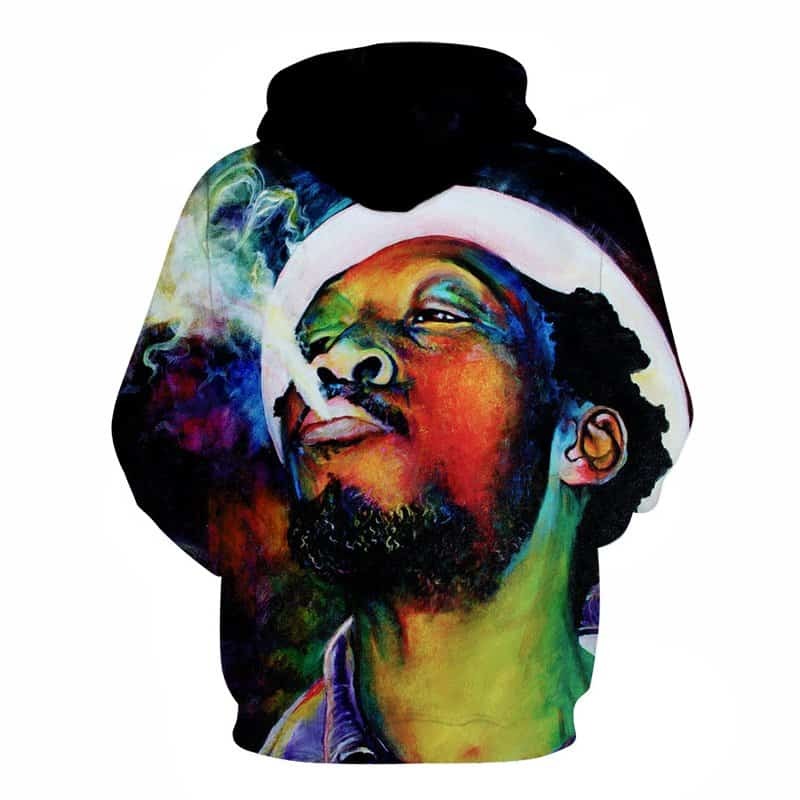 In general a cool hoodie to wear. The hoodie is comfortable to wear, looks fashionable and is wearable anywhere. It was designed for both male and female.